If you store valuables in your Illinois home, buying a good security safe is one of the smartest investments you can make. Whether you’re protecting valuable firearms, irreplaceable family heirlooms or just important financial and identity documents, a good safe can make sure your items stay protected if your home is subjected to a break-in, fire or flood. This short guide will help you understand the basics of safe types so you know what to look for before you contact your local safe locksmith for help. These are a popular option. A wall safe can be hidden behind wall art or a piece of furniture for added security and so it doesn’t interfere with your interior design. However, most wall safes are fairly small, so they’re better if you’re only storing small items, such as jewelry or documents. 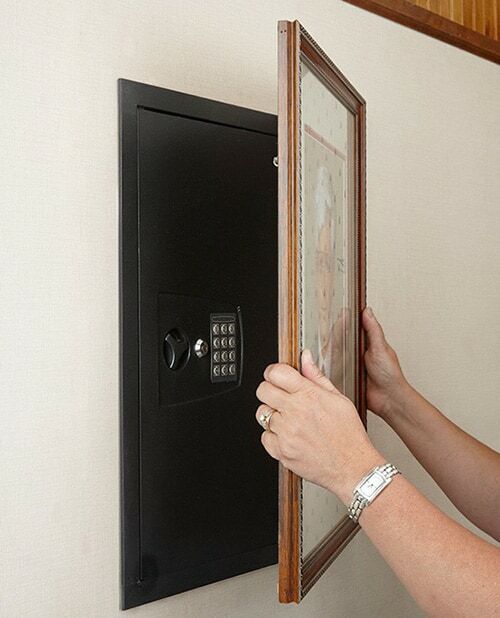 Wall safes can be hidden behind wall art or furniture. 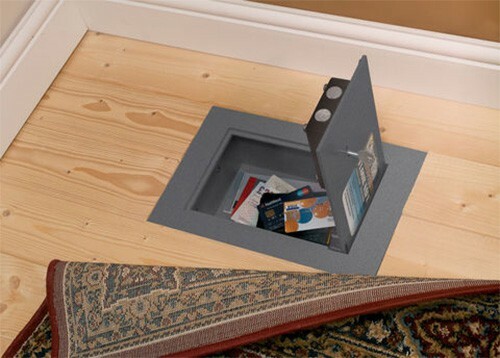 Floor safes are another great option because they can be easily hidden in your home. Most homeowners will cover them with a rug or a large piece of furniture to hide them from intruders. The one advantage that floor safes have over wall safes is that they’re generally much harder to lift out, pry out, or otherwise tamper with than wall safes. Floor safes are easy to hide under a rug or a piece of furniture. These are probably one of the most common types and come in a wide variety of sizes, but if you go that route, make sure you choose one that can be bolted to the floor. Small, freestanding floor safes are too easy for burglars to grab and carry away. Floor safes are convenient but should be bolted to the floor so they can’t be carried off. 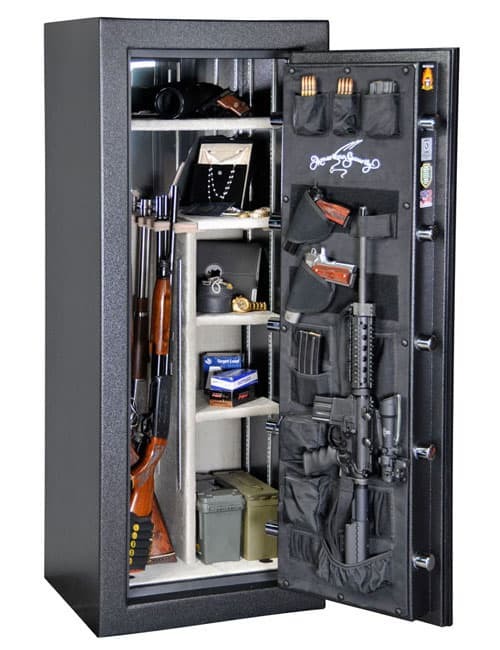 If you own firearms, a gun safe is an essential item. However, there are many different types of gun safes for sale, and not all are created equal. 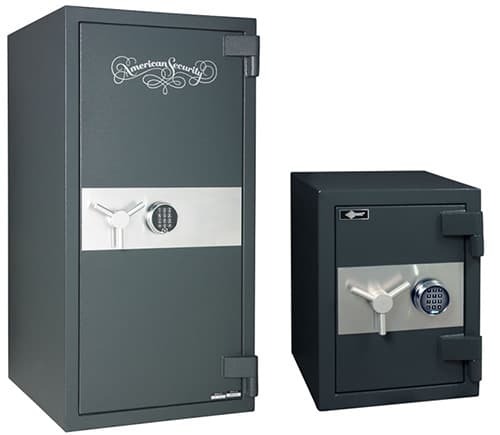 Many safes on the market are made of thin metal that can easily be pried apart. These are good enough if you simply want to ensure that your guns are locked away from children, but it won’t stop a thief. Look for one with a higher safety rating for better security. If you own firearms of any type a gun safe is a top priority, and it can double as a secure place for other valuables. 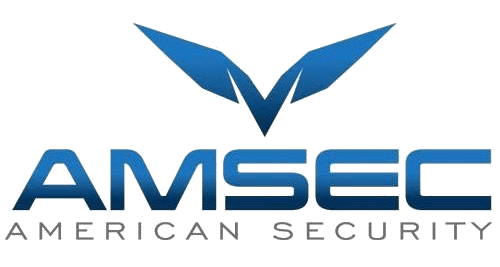 One of the most confusing parts of buying a security safe is understanding ratings, but this is a key part of making sure you get one with enough protection. Your local safe locksmith can also help you select the right safe for your needs. Most quality safes are tested by Underwriters Laboratory (often abbreviated as UL) in a variety of ways. Fire ratings are the first thing many consumers look at, and they tend to be fairly straightforward. Most safes hold either a half hour, one hour or two-hour rating. That’s the length of time that they can withstand being heated to 1550 degrees Fahrenheit without failing. Burglary ratings are slightly more complicated. Safes with a UL Class B or C rating do not need to undergo any actual testing. Instead, it is based on the thickness of the walls and doors. 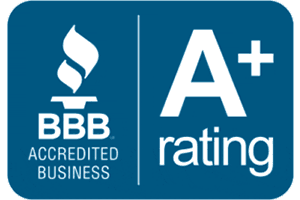 The lowest rating that requires testing is the Residential Security Container rating or RSC. A security safe qualifies for the RSC rating if it can withstand 5 minutes of heavy prying, drilling and other attempts at entry. The next step up is the TL-15, which needs to be able to withstand 15 minutes of an attack. The TL-30 is one of the highest ratings and requires the safe to withstand 30 minutes of attack with highly sophisticated tools and techniques. While there are many online options, buying a safe through a reputable local company is always the best bet. 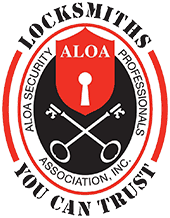 A good safe locksmith can not only handle the installation for you, but they can provide ongoing service in the form of safe combination changes and other support. If you’re looking for trustworthy Chicago safe sales and service, give us a call.